Homebuyers will now be recognized as financial creditors, with the promulgation of the Insolvency and Bankruptcy Code (Amendment) Ordinance, 2018 on Wednesday. The recognition would give them due representation in the Committee of Creditors, and would also enable them to initiate corporate insolvency resolution process under Section 7 of the Insolvency and Bankruptcy Code (IBC), 2016 against errant developers. As per an official release, the Ordinance is also expected to benefit Micro, Small and Medium Sector Enterprises (MSMEs). Essentially, in case of MSMEs, it does not disqualify the promoter from bidding for his enterprise undergoing Corporate Insolvency Resolution Process (CIRP), provided he is not a willful defaulter and does not attract other disqualifications not related to default. The Ordinance also empowers the Centre to allow further exemptions or modifications for MSMEs Sector, if required, in public interest. The Ordinance lays down a stricter procedure for an applicant to withdraw a case after its admission under IBC, 2016. Such withdrawal would now be permissible only with the approval of the Committee of Creditors with 90 percent of the voting share. Further, such withdrawal will only be permissible before publication of notice inviting Expressions of Interest (EoI). Hence, there can be no withdrawal once the commercial process of EoIs and bids commences. Besides, the Ordinance envisions addressing of issues such as non-entertainment of late bids, no negotiation with the late bidders and a well laid down procedure for maximizing value of assets. "With a view to encouraging resolution as opposed to liquidation", the voting threshold has been brought down to 66 percent from 75 percent for all major decisions such as approval of resolution plan, extension of CIRP period, etc. The voting threshold for routine decisions has also been reduced to 51%, in order to facilitate functioning of the corporate debtor as a going concern. Besides, the Ordinance also provides for a mechanism to allow participation of security holders, deposit holders and all other classes of financial creditors that exceed a certain number, in meetings of the Committee of Creditors, through authorized representation. The Ordinance fine tunes Section 29A of IBC, which specifies persons not eligible to submit a resolution plan. With this provision, the intent was not to restrict genuine applicants, but only to exclude participation from habitual miscreants or applicants who might themselves be sick. However, the provision has been criticized for having the effect of eliminating people who might genuinely be interested in buying stakes in the entity. The Ordinance now exempts pure play financial entities from being disqualified on account of an NPA. Similarly, a resolution application holding an NPA by virtue of acquiring it in the past under the IBC, 2016, has been provided with a three-year cooling-off period, from the date of such acquisition. In other words, such NPA shall not disqualify the resolution application during the currency of the three-year grace period. Besides, on account of the wide range of disqualifications contained in the provision, the Ordinance now makes the Resolution Applicant responsible for certifying its eligibility to bid in an Affidavit. The Ordinance provides for a minimum one-year grace period for the successful resolution applicant to fulfill various statutory obligations required under different laws. This allows more time for the new management to efficiently implement the resolution plan. The moratorium period would not be applicable for enforcement of a guarantee. Corporate debtors would require a special resolution to themselves trigger insolvency resolution under the Code. Terms and conditions of interim finance have been "liberalized" to facilitate financing of the corporate debtor during CIRP period. 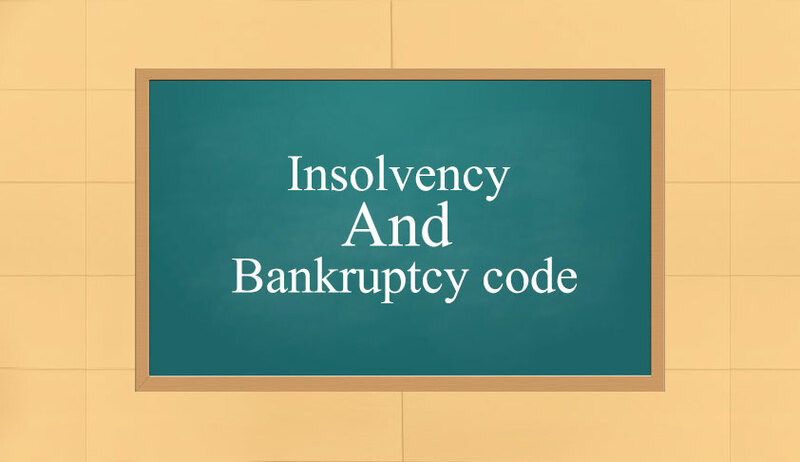 Insolvency and Bankruptcy Board of India has been provided with powers to levy fee in respect of services rendered.